MFA Interior Design Program Director Jonsara Ruth has contributed to a feature on multigenerational living for the May issue of Metropolis. 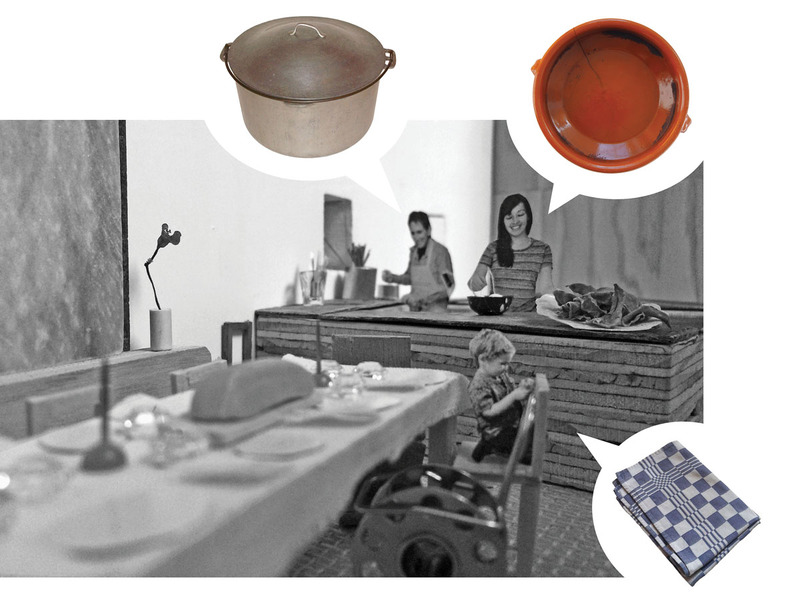 The piece, titled The Civilizing Space, proposes the kitchen as the social and cultural heart of family life, incorporating daily routines and family rituals, and is a project of Ruth’s multi-disciplinary design collective, Salty Labs. Collaborators for The Civilizing Space described objects from their own kitchens that have come down through multiple generations, and the memories they evoke. These objects include a glögg pot (Sioux Finney), a kitchen towel (Lisa Yoneno), a Catalan ceramic stew pot (Cristina Noguer), a pasta strainer (Lola di Cintio), dessert plates (Sara Frank), and Ruth’s own coffee pot. Ruth writes of the transfer of knowledge and memories that occur in the kitchen, “In the multi-generation kitchen, objects brought from one generation provide for the next. Children learn from these things: the coffee pot, the dish, the heirloom linen dishcloth. The are the things of life – of culture – and each one comes with a story.” For many more images and information about this project, see Salty Lab’s project page.